Since I have turned book reviewing into a business (hobby/diversion/addiction/illusion), I have tried to avoid being the critic who shreds the hard labors of an author while appearing to be all knowing and wise. But I must begin by a straight forward, unrestrained attack on Dr. Bradley Birzer and his book In Defense of Andrew Jackson. THIS BIOGRAPHY WAS TOO SHORT. The text covering the life, views, and defense of Jackson halted abruptly some 150 pages in. I was wanting another 150 pages devoted to the man. The final 30 pages is Jackson’s Farewell Address. Birzer and his publisher (Regnery) should have given us 300 pages about Jackson, followed up with a collection of letters and speeches of at least another 300 pages. I hope that the prof and the publisher are smarting under this severe lashing. Now, let’s calm down and look at this delightful little book. First of all, in spite of all that is said about tolerance, open-mindedness, diversity, etc., there are some topics and people who are not allowed to be discussed or defended. Our eighth President has become the poster boy for much that was wrong or unenlightened in American political history. And if you are wanting to find a man with flaws, Jackson is an easy target. If anything, he was up-front, transparent, unequivocal, and in-your-face regarding his views, actions, and opinions. There is no search for the real Andy Jackson or the inner thoughts of this man. He was, in a sense, the first truly American-made President. The previous Presidents had been born into, nurtured in, and refined by the British Colonial world. That was not a bad world, and its influence was strongest on the coastal and northern parts of the still young nation. Jackson was born in 1767 to a Scots-Irish family who had immigrated to the Carolina frontier. 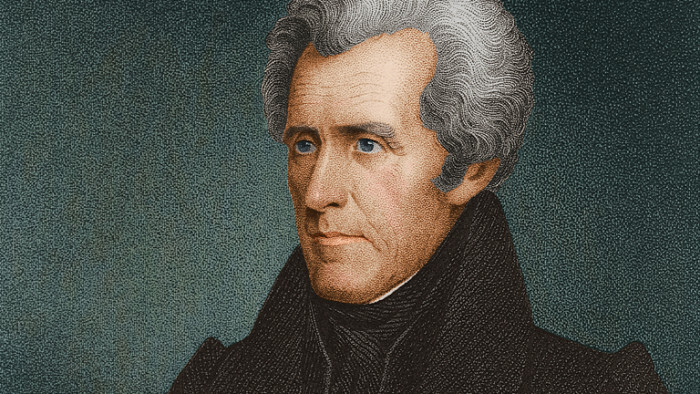 Jackson was a frontiersman, a Scots-Irish, a self-made man, a Presbyterian, a fighter, a rough-hewn sometimes crude but still self-educated man, and a mover and shaker. What he never could be accused of being was an Englishman, an aristocrat, a ruling elite, a refined and cultured gentleman. Those kinds of species didn’t survive where Jackson grew up. He was the first man to prove that anyone can become President. From his birth to his wartime ventures (in both wars against Britain and numerous other battles) to his politics to his relations with others, he had a battle from the start. He was incredibly courageous, resourceful, and self-willed. He could live by the sword and nearly die by the sword. Any meekness that ever showed up was purely a work of God’s grace. And Jackson is a remarkable illustration of the slow soul formation of God’s grace. His mother had hoped he would grow up to be a Presbyterian preacher, but he didn’t get struck by lightening or undergo any turning point that would have inclined him that way in short form. Washington, due to the nature of government and sinful men, will always be tending toward being a swamp. Government is a swamp building enterprise. Draining the swamp is a useful and never completely accomplished image. Although Jackson’s peers and predecessors, men like James Monroe, John Q. Adams, Henry Clay, and John C. Calhoun, were men of caliber and competence, they did not have the frontier-inspired ability to get to the root of problems the way Jackson did. I confess to having a long-term tendency to like Jackson. Yes, I tend toward hero-worship of Presidents, Generals, and men of action. Maybe it was caused by the time my parents took me to visit the Hermitage, just outside of Nashville, when I was in high school. But there was a long season where I drifted toward a hostility to Jacksonian Democracy, mob rule, the rise of the common man. As I bounced from pole to pole, Gregg Singer’s opposition to Jackson was on one side, while R. J. Rushdoony’s favorable lecture was on the other. And I confess to having some sympathy for nullilfication, the Virginia-Kentucky Resolutions, and South Carolina’s angst over the Tariff of Abominations. And, the Trail of Tears is a great blight on the American Story. Along with those two scholars and their books, I have picked up several other Jackson biographies over the years. I have a great dvd that we use in my class that features Dr. Remini and lots of in-depth discussion of Jackson. I have also had a favorable view of Jackson personally because of his unwavering devotion to his most godly wife Rachel. Rachel and Jackson’s mother were the primary ones who pointed him to faith. As a Presbyterian, I have delighted in reading about his devotion to God, faith, and the Westminster Confession of Faith which became very pronounced in his older years. But it was the reading of this book that made me realize that in spite of my readings and teachings, I had underestimated and under-admired the man. It was also delightful to see Birzer, the author of several really fine studies, quote from Paul Johnson’s Birth of the Modern. You see, real academics are not supposed to quote from Johnson. Granted, Paul Johnson is a delightful writer and quite original and bold in his pronouncements, he doesn’t fit the criteria of acceptable scholarship. Thanks, Dr. Birzer, for ignoring the pattern of ignoring the really gifted, sometimes wrong, often entertaining, and inimitable Paul Johnson. 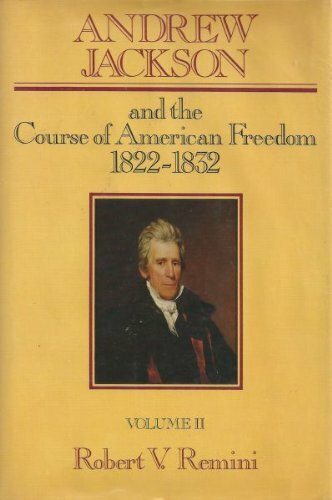 Get this book: In Defense of Andrew Jackson. It is published by Regnery History, and in case you did not know, Regnery doesn’t just have the motto “Great conservative books, great conservative authors,” they really do produce some outstanding books. It was 1981 and I was coaxed into going to the movies. I–both then and now–rarely submit to going out to the movie theater to watch anything. Several times when I have learned of movies that sound really good, I skip them. Hence, I watched Dunkirk after it came out on a DVD. And I never watched Valkyrie or Darkest Hour. But a group of friends (who were also fellow church members) persuaded me to branch out on that night back in 1981. The movie was Chariots of Fire. It was primarily the story of Eric Liddell and his refusal to run on a Sunday at the 1924 Olympics. The parallel plot was about Harold Abrahams who was fighting his own battles of culture along with attempting to achieve the brief fame found on the fields of sport. As a movie, it was outstanding in terms of casting, plot development, story lines, and even music. To this day, watching the young Olympians running along the sand of the beach with the theme music playing is captivating. For many a Christian, the movie moved an obscure figure in recent church history to the forefront. 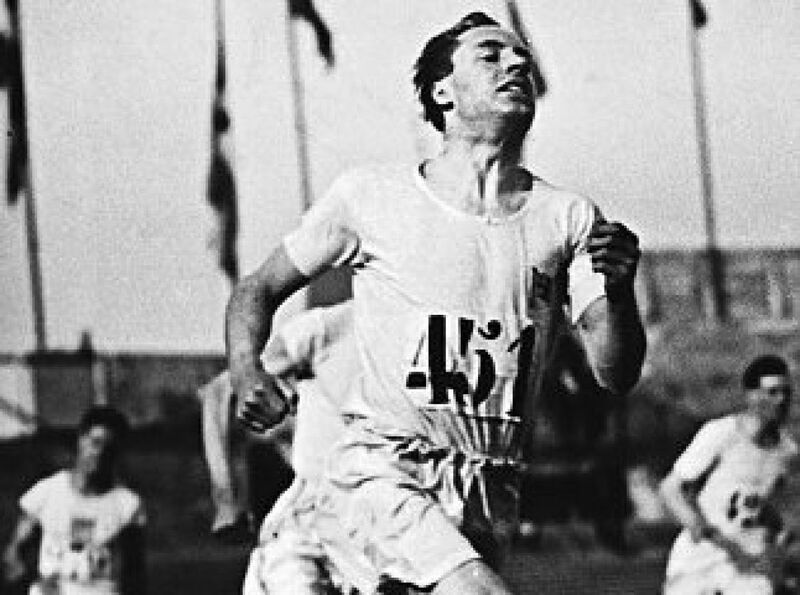 Eric Liddell was no Hollywood creation. He was the real McCoy. He was the model Scotsman with the looks, wit, accent, and personality to win over many a fan. Decades after the cheers for this Scottish hero had ceased to be heard, he was again being cheered across the land. Although the producers, directors, and actors were not seeking to make a Christian or religious film, this one resonated across the evangelical land. Regretfully, it did next to nothing in terms of reviving any efforts to hold on any remaining fragments of Sunday as a day of worship. Culturally speaking, that issue is gone. Those who wish to weigh in on that issue are welcome. I confess that I am as muddled about the “Christian Sabbath” now as I was 30 years ago. Books appeared that told the story of Eric Liddell. One that I read and enjoyed quite a bit was The Flying Scotsman by Sally Magnusson. A more recent biography of Liddell is For the Glory by Duncan Hamilton. Not only was the movie correct–in the main–about the 1924 Olympics and Liddell’s triumph–it was correct about the character and faith of the man himself. But the movie only told one part of the amazing story of this man’s life. Liddell left Scotland a few years after winning gold medals at the Olympics and “joined the family business” of doing missionary work in China. There were a number of foreign missions that labored among the Chinese people up until Mao Zedong and the Communists took control of the country. The British were among the numbers of those carrying the Gospel to China. Stories of such missionaries as Hudson Taylor, Jonathan Goforth, and Lottie Moon (from the U.S.) are part of the rich heritage of Chinese missions. Edith Schaeffer (wife of Francis Schaeffer) grew up in the mission field of China. Nobel Prize winning author Pearl S. Buck was also a product of a missionary family to China (who unfortunately eschewed her heritage). No doubt, there were Chinese people who came to know Christ and lived and died in the faith because of the many mission efforts. The greater harvest seems to be in our own times where word keeps slipping out of a large house church movement in that vast and populous land. We often forget that when the Japanese bombed Pearl Harbor on December 7, 1941, they also launched attacks on a number of British held possessions in Asia. Thus, Eric Liddell and many others who were already in jeopardy by serving in a war zone were now the enemy. The Japanese herded the foreign nationals into camps. While the Japanese captors were not seeking to purposely inflict maximum pain and misery on the inhabitants, they weren’t very nice either. Generally, the camps were overcrowded and under-supplied. Camp life for the British and others threatened constantly to become a hell on earth. The saving feature in these camps was the salt and light provided by Christians. Foremost among the Christian leaders was Eric Liddell. How many converts he won when he was speaking back in Scotland in his athletic heyday is unknown. How many Chinese he discipled while he was being a teacher and preacher in pre-World War II China is unknown. How many people he ministered to in the camp is, likewise, unknown. But I suspect that his worst days were his best. The testimonies that have survived through the years attest to him being one who was quick to help, slow to anger, willing to serve, and happy to sacrifice for others. 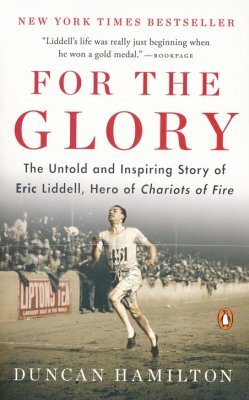 His “final race,” his time in the camps are an incredible testimony to Eric Liddell’s life. The sequel to his Olympic races outshone what he did on the track. 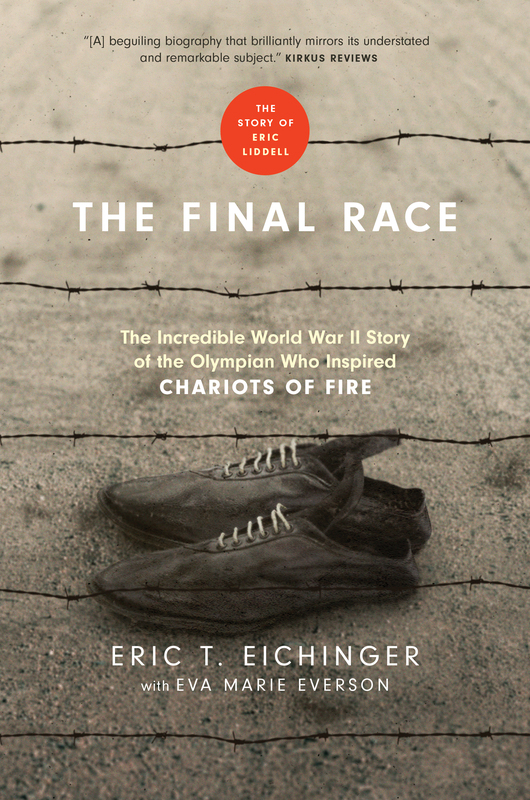 This amazing story is told in detail in the book The Final Race: The Incredible World War II Story of the Olympian Who Inspired Chariots of Fire. This book is by Eric Eichenger with Eva Marie Everson. It is published by Tyndale. The Final Race is a well written and inspiring story of a great Christian. At some points, I wished that it would have included a bit more of the bigger picture of what was happening in China and the world. But the goal was not to cast the Liddell story in the midst of history, but to highlight the faith and life of Liddell. I am still unclear on exactly where Liddell stood on theological issues. He seems to have waffled a bit on the historic Calvinism of his Scots’ heritage, but he also resisted the inroads of Modernism that were slipping into the Church and mission fields. He was a Congregationalist, and not a Presbyterian as I had always assumed. He wasn’t perfect, but he was good, faithful, godly, and dedicated. One could wish that a well financed movie could be made about this facet of his life. Another point that needs to be made is that while he died in the Japanese camp, it was not the result of abuses of the captors. Liddell had a brain tumor. The medical care was not top notch, but it would not have mattered. God has set the race before Liddell and he ran it to the glory of God until he reached the appointed finish line. 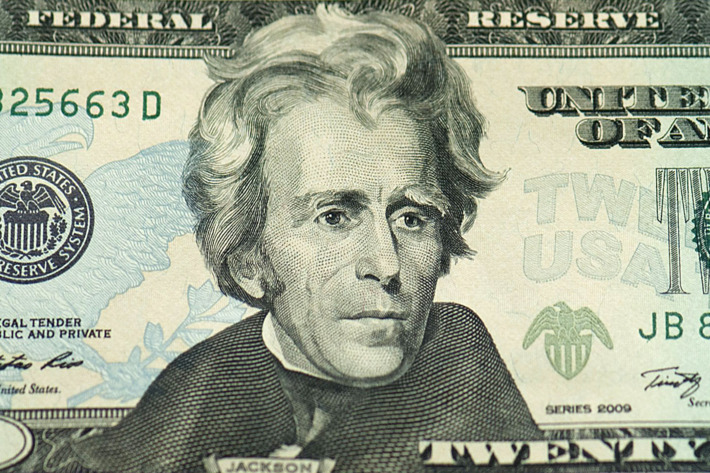 I am not sure that I can be trusted on reviewing the new biography of Andrew Jackson by Dr. Bradley Birzer. This would be like asking the screaming girls at a rock concert about whatever heart-throb was performing on the stage. Meaning, I have read 3 of the previous 4 biographies that Birzer has written and have loved them all with increasing zeal akin to fanaticism. Those biographies are of J. R. R. Tolkien (which I read before I had read much of Tolkien), Christopher Dawson (a super-hero), and Russell Kirk (a brilliant conservative writer). I have not yet read Birzer’s biography of Charles Carroll, titled American Cicero. 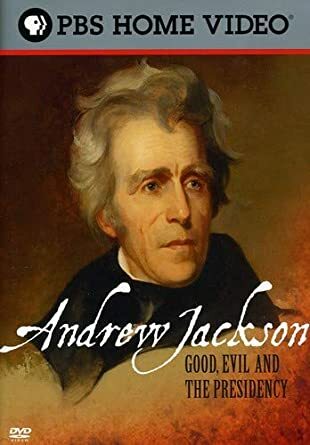 Ever since Dr. Birzer began sharing the news of his writing a biography of Andrew Jackson, I have been interested in the book. I even sent him a Facebook comment saying, “At last, you are writing about a Presbyterian.” It was in that same vein that he later referred to me as a “dang Calvinist.” (All his other biographies were of Catholics.) I started to begin this sentence with the words “All kidding aside,” but I am prone to throw in another fun jab or two. 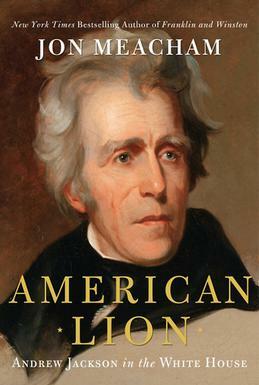 In Defense of Andrew Jackson officially came out yesterday (September 11) and is published by Regnery Publishing. While it lists for $26.99, it can be purchased for less than the paper bill with Jackson’s picture on it from Amazon. Even at full price, this nice hardback book is a bargain and a good source in our day and time. Jackson is associate with all kinds of things that are not subjects we are officially allowed to discuss. These topics can be used as sources of blame, but they cannot be seriously thought through. Keep in mind, Jackson was no mealy-mouthed politician. He spoke his mind; he shot from the hip; he offended people; he didn’t mince words. Nor actions either. More than most Presidents, he was an activist leader. His approach was to barrel his views through. After six educated, genteel, formal and dignified leaders, Jackson hit Washington like a tidal wave. He had been raised in the wilds on the frontier, his soul honed by the Calvinistic fervor of Scots-Irish blood and culture, and his views shaped by war, duels, political squabbles, and a common sense approach to the Constitution. He had no intention of business as usual when he got to the White House. Jackson was a man of his times. His sins were scarlet and not at all concealed from those days or ours. His impulsiveness enabled him to triumph over adversities, but also left collateral damage. He pressed his stamp on American history strongly. Much of what I am saying is gleaned from many years of reading about and studying Jackson. Birzer’s book is a review that is reinforcing what I know from past studies, but it is also reinterpreting the man overall for me. Being a short book, I should have read and finished this volume in quick order, but I am enjoying it too much. I pretty much know Jackson’s life story, but this walk back through the events and the interpretive grid of this book call for a slow and delightful read, not a fast paced romp. A side note: I recently read the book Believe Me: The Evangelical Road to Donald Trump by John Fea. That book has lots of good material on the faulty views of Christians throughout our history in regard to politics. 2016 and the election of Donald Trump was not a banner year for evangelicals. But Dr. Fea had a long discourse on the Andrew Jackson/Donald Trump connection. (Birzer discusses the same topic.) Fea, mistakenly in my opinion, states that had Jackson been in the White House during the Civil War, he would have sided with the Confederacy due to his slave-owning. Reading that in Fea’s book made me wonder if he had even considered the Nullification Crisis. The man who said, “The Union–it must be preserved” and who threatened to lead an army into South Carolina would not have been favorable to secession. That’s the fun of history, isn’t it? And it is lots of fun to find those people from the past whose names and reputations have been trashed, besmirched, and deplored, and then to discover they are well worth defending. In late December of 1977, I landed in Leningrad, Russia and begin looking at everything around me in that dark, cold, foreboding land. The mornings began not with sunrise but with darkness that pervaded the northern climate until late–after 10 am–and then the daylight hours ended early in the afternoon. And then there was the bitter cold, the sterile feel of the Communist state, the indifference of store workers to their customers, and the feeling of regimentation, oppression, and chains. Still, there was plenty in Russia–both old and new–that was beautiful, charming, and alluring. It was my one visit outside of the U. S. and is still a country I would love to see yet again and see more of. Maybe with a nudge or two in those days, I might have pursued graduate studies of Russian history and literature. But I was tired of college and ready to teach school. Besides, I had other interests in the field of history as well. So, I never quite developed as an expert in Russian history and culture. But over the years, I have continued to read books here and there, both novels and histories, that unveil images of that vast and mysterious land. Currently, I am working through two books on Russia in the time of the 1917 Revolutions. At last, I have a worthy excuse for reading what I am consumed in at the moment. This is the year for Modern World Humanities with a focus on the 20th century. Truth be known, I am probably better versed on the 20th century than any other part of history. But I often reach that time period late in the school year and the chance to explore those times and events is zapped by the oncoming summer break. Meaning, kids stop listening. The first book on this venture is The Race to Save the Romanovs by Helen Rappaport. Mrs. Rappaport has written quite a few works in recent years on the Romanov family and the Revolution. I have picked up a volume or two in some bargain venues, but jumped at the chance to read and review this book. It is published by St. Martin’s Press. The Romanov family story is filled with everything one might imagine in a fairy tale and/or a horror story. Nicholas Romanov and his wife Alexandra were two remarkable figures, placed in history by forces beyond their control and put in the middle of a storm that no mere humans could have survived. They were a beautiful and loving couple. Their letters to one another reveal a man and a woman who were deeply devoted to each other. Yet, Nicholas had no ordinary job to go to. He was the Tsar of Russia, a powerful, but struggling world power connected to Europe by land and blood, and entangled by alliances to events that brought about World War I. As Tsar, Nicholas was a man of limited vision and personality. He did not relish being the leader, but he was a Romanov and could no more think in modern terms than he could have used modern (as in 21st century) technology. Behind him, his wife was pushy, sometimes dominant, narrow minded to the hilt, and terribly offensive to others. Adding to her problems, she was German by heritage, which meant that she was constantly attacked by Russian presses and gossip during World War I. (For those who may have forgotten, Russia was at war with Germany.) No one ever became more fiercely Russian than Alexandra Romanov, but both Allied leaders and many in Russia thought her disloyal. As if that wasn’t enough, the Tsarevitch, or son of the Tsar and heir of the throne, Alexey, suffered from hemophilia. I thought this story had been almost completely told in Robert Massie’s incredible book Nicholas and Alexandra. I have read that book a couple of times, along with his sequel The Romanovs: The Final Chapter. Helen Rappaport’s book goes beyond what Massie’s books did. The focus is on the efforts to rescue the Tsar and his family. The most likely candidates for rescuing this family were the British. The King, George V, and Nicholas were cousins. Alexandra was a granddaughter of Queen Victoria. But the British dithered, delayed, hesitated, ignored, pawned off, and managed to do little other than mourn the deaths when rescue was too late. Efforts were made by many others to rescue the family. Germany had some opportunities to do so, and the Romanovs were kin to the Kaiser of Germany, Wilhelm II. Talk was of sending the Romanovs to Denmark, southern France, an obscure place in England, Norway, Sweden, the Crimea, and Spain. Within Russia, there were loyal monarchists who desperately wanted to both rescue and restore the family. Part of the pain of reading this book is knowing how it will end. 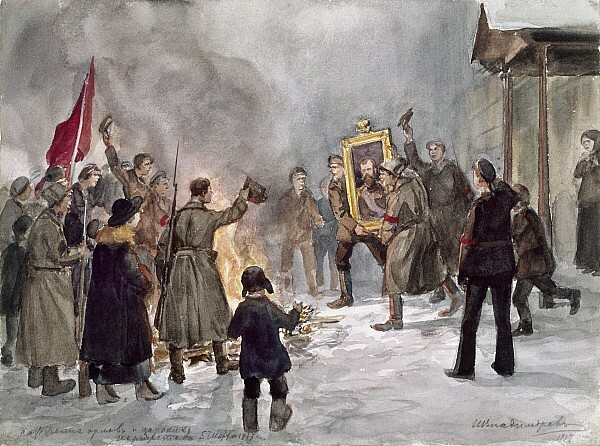 As Rappaport points out, the Tsar and his family were not simply killed or executed, they were murdered–brutally, cruelly, and with malice and aforethought. To make matters worse, the Bolsheviks concealed the crime and even used the family as a political pawn even after they were all dead. The Red Wheel: March 1917, Node III Book 1 is by the Nobel Prize for Literature winning author Aleksandr Solzhenitsyn. It is part of a massive, epic in every sense of the word, history he spent much of his life writing. It has yet to all be put into print or to be translated into English. This portion was published by the University of Notre Dame Press and is translated by Marian Schwartz. The available volumes so far are August 1914, which originally came out in the 1970s and then was published in an expanded version in 1984. Next was November 1916, which appeared in 1985. (My source said it appeared in two volumes, which vexes me since I have only one of them.) This one, March 1917, is supposed to be in four volumes! And April 1917 has not been translated into English yet. My biggest concern in beginning this book was wondering if the previous volumes were necessary to have been read before this one. The publisher’s note promised me that it was okay to begin this one. Mountain number one was then avoided. Reading this one volume as a stand alone is challenge enough. Confession time: I am still working to get into this book. But I am determined to read it through. Solzhenitsyn is not always easy, nor are many other Russian writers. The reward is in the perseverance. I have long been reading his books and books about his life. I was a senior in high school when he was expelled from his beloved Russia. I read the first volume of The Gulag Archipelago on my own when I was a college student. My old paperback copy of that book fell apart when my son Nicholas read it. Earlier this past year, I read 1917: Lenin, Wilson and the Birth of the New World Disorder by Arthur Herman. Great book and one that whetted my appetite for more Russian history and literature. At some point in the upcoming school year, my class and I will be reading some of Tolstoy’s shorter works and Dostoevsky’s Brothers Karamazov. A study of things Russian would in itself be enough to make for a rich life. 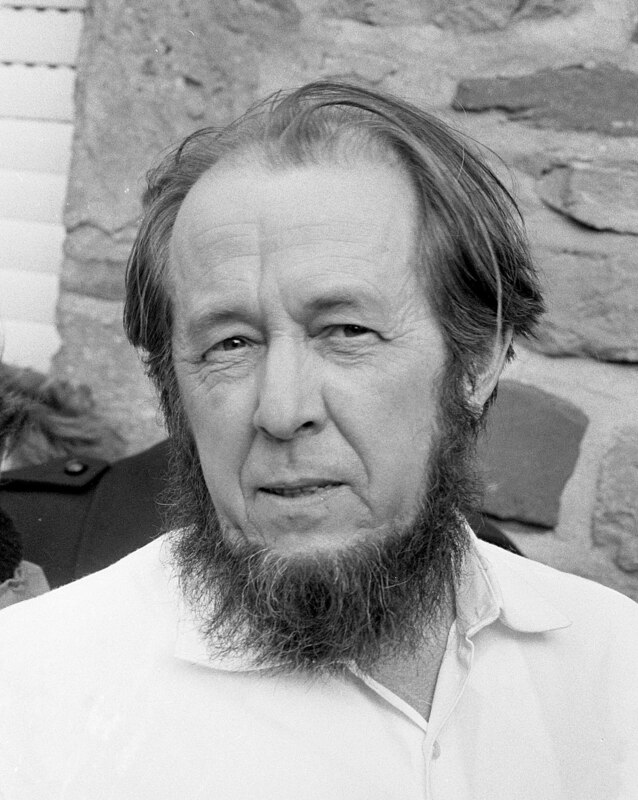 Aleksandr Solzhenitsyn in his younger years.